El-Adini Azawakh: El-Adini Ahadi BOG in Sintra! El-Adini Ahadi BOG in Sintra! 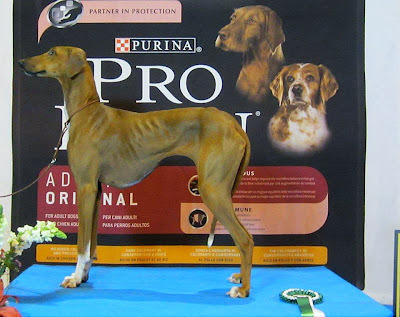 PT ES CH El-Adini Ahadi was Best of Group at Sintra Int Dog Show under judge Louis Pinto Texeria!! On the national show the day before she was runner-up in group under Svante Frisk! Congrats to Isabel & Ahadi!